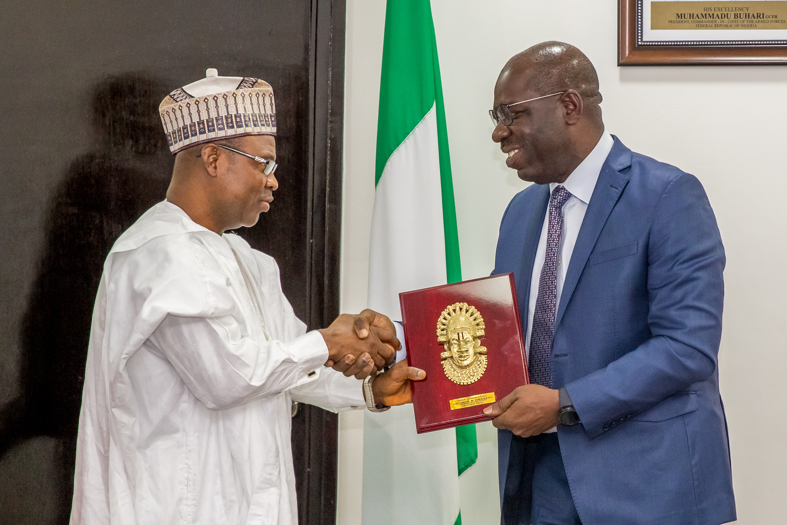 Governor of Edo State, Mr. Godwin Obaseki said his government would partner the Industrial Training Fund (ITF) to develop human capacity of workers in the state. The governor, who disclosed this when he received the management of ITF in government house in Benin, noted that the greatest asset any country could be proud of is its people not the machines or the buildings. He therefore said that his administration was committed to the development of human capacity and skills which could be exported to other parts of the world. He said that the greatest assets any country could have was its human resources assuring that his administration would renovate the Benin Technical College to promote technical and vocation programmes in the state. “We are pleased to partner with you and we see you as a veritable tool to develop our human capacity. ‘’We seek inner capacity building of our people in the civil, public and private services. Earlier, the Director General of ITF, Mr Joseph Ari, said that the visit was to intimate the governor of its ‘’Operation reach out’’ programmes geared towards human capacity development in the country. ‘’We want the state government to collaborate with us to set up a modern skill training centre for Edo people. ‘’We want to identify the domestic trade in the state and impact skills into 500 youths in line with the National industrial skills development programme’’, he said..